According to the nature of different works, concrete batching plants can be divided into commercial and engineering concrete batching plants, however, how much do you know the differences of them? As a well-known concrete plant manufacturer, Aimix Group will analyze its basic differences to help customers locate the right machine for their works. Commercial concrete batching plant is especially suitable for larger construction works, which can provide sufficient concrete mixtures with good quality to satisfy the manual selling demand. In contrast, engineering concrete batching plants usually have relatively low investment, and it is often favored by small investors with complete function and good performance. Commercial concrete batching plant can achieve accurate measurement of various kinds of raw materials so that all kinds of admixtures are effectively used, which ensures the product quality and production efficiency of the final concrete. In addition, commercial concrete mixing plant can effectively control dust pollution. In recent years, the monitoring results of atmospheric environmental pollution and composition of various types of urban areas in China show that the proportion of dust pollution in construction is increasing due to the continuous development of the construction. In some areas, the proportion of dust in the air pollution takes more than 50 percent. The adoption of commercial concrete plant can largely reduce dust pollution and improve the quality of urban atmospheric environment, which has high environmental and social benefits. Engineering concrete plant is also a good choice for small projects, and if users are planning large construction works, and it is wise to choose commercial concrete plant to help the work. Of course, there are some exceptions. 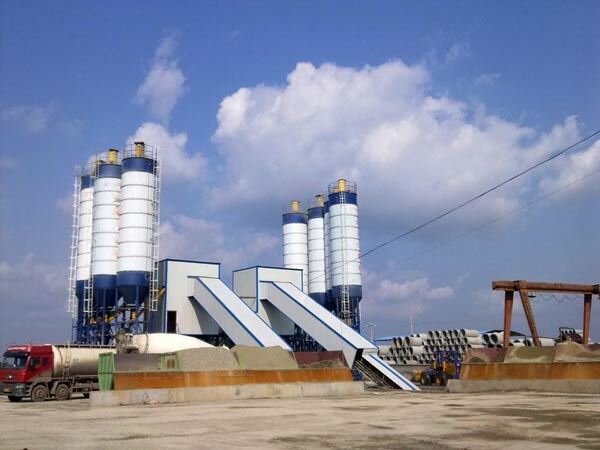 Please let us know if you are in need or need a inquiry of our concrete batching plants.